Naylor Thermachem drainage has been used in the Gateway building on the Thames Valley Science Park to protect the drainage systems against chemical discharges in the laboratories. 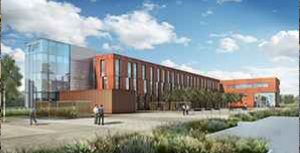 The Science Park which will be part of the University will provide 800,000 square foot of laboratory and office space once completed and be one of the largest facilities of its kind in the South East of England. The Gateway building is the first of 4 planned buildings for the site and as its name suggest will provide a landmark entrance to the entire site. Within the Gateway building will be a range of mixed use laboratories with multiple potential uses over the lifetime of the building. 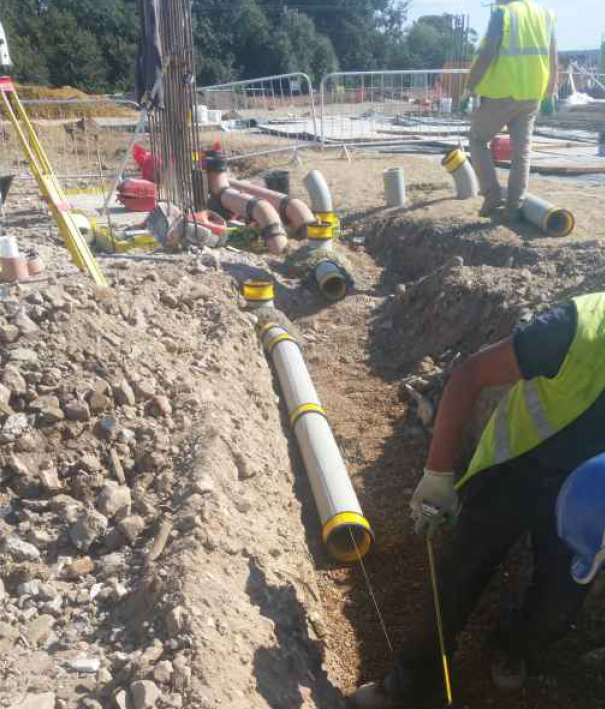 In order to provide the best possible protection for the drainage infrastructure Naylor Thermachem was chosen due to its ability to provide resistance to chemicals in the full pH range and to handle most common chemicals including aggressive acids at their full concentration levels. 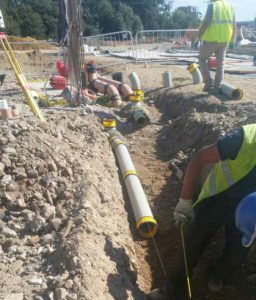 Civil contractor EuroCity installed the Naylor Thermachem pipes on site and found the installation of the pipes simple, with the mechanical joints allowing for staged installation of the whole drainage system.